Annette Cobb, Librarian at East Barnett School tells us about her experience with Britannica School and how it has helped their students and teachers. We needed a resource that students could use for their research that could replace a lot of our out of date resources. Budget was also a large part of the consideration for us as the library budget itself was not large, and relied on PTA sponsoring. We were offered a good deal and it connected with the English school curriculum unlike some other online resources that we looked at. 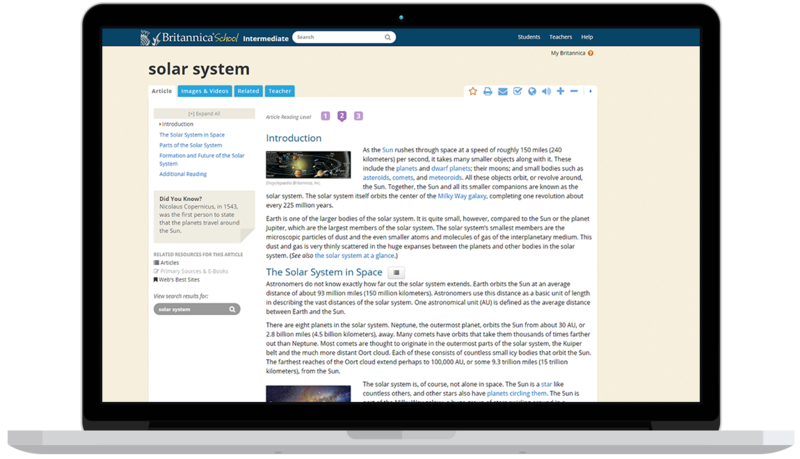 East Barnet School has subscribed to Encyclopaedia Britannica for four years and it is an extremely well used online resource. All years from Year 7 – 13 use it both in school and at home for a whole range of research tasks. Our Year 7’s really enjoy using it for their research projects, especially in English lessons and once they see how easy it is to navigate and the useful information it provides they continue to use it as they progress through the school. The information is presented in engaging way and also completely relevant to the curriculum which has become increasingly important in an online world which has limitless – and at points overwhelming – amounts of information.